Update 13 December 2007: Blogger Support keep shifting the goal post, so by the time you read this, I don't know if situation have changed. Anyway, I repeat for the sake of Blogger Support that you first try to help yourself by using their Help pages or posting to the Google Blogger Help group. After having done that, and still can't get the help you need, read the rest of the post. 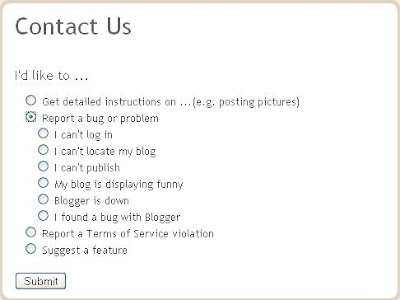 Note a screenshot that have "report a bug", tick that and you should get to a contact form to send a message to Blogger Support. What do you do when you cannot sign into Blogger, or you sign in but can't see your blog in the Dashboard, or you have other related problems. You will likely be taken to a series of pages that may provide information or links to information for your problem, and perhaps make further choices. You may finally come to a dead end with a suggestion and a link to the Google Blogger Help group to get help for your problem or if you are lucky, you will eventually end up in an actual contact form that allows you to submit details of your problem to Blogger Support. A required field has been left blank. Please enter the email address that was associated with your account. A required field has been left blank. Please enter your last successful login date. Looks like a dead end except to go back to Google Help group for help. Then I had a naughty idea. Why not just enter an email address not really associated with the account, enter a false "last successful login date", Explain in the message box with a full description of the actual problem, click "Submit" and then pray. That should get the message sent to Blogger Support, and then hopefully get a fruitful response. If I were that company, this is what I would do. I can get through to GOD easier than Google / Blogger! I made the mistake of changing my password on June 8 for my blog "Publishing Fast Track" lynnmmanningross.blogspot.com. I've tried since then and have done all the things you suggest. I made this mistake several times before and now Blogger has my name in god-knows how many different configs. To get this far, I had to once again enter another email and password. It is truly frustrating and a big waste of time. HELP! My sympathies. I am afraid all I can do is to bring this problem to the notice of Blogger, but doubt they can do much as they have chosen to operate Blogger as a free service and thus I think they have to operate on a limited budget, which means a small support team. Google AdSense Support used to be very good. There is a contact form. Fill up that form and you would get a response from them within a few working days. Now that contact form leads you in a merry-go-round, probably worst than Blogger. And Google AdSense generates lots of revenue for Google. I am giving up on blogger...I just made a blog (yesterday) and can't even sign in to my own blog at all..no help with the help menus or group helps...I want a real person!!! ""Dear Peter. Thanks so much for all your help, tips , and tricks. Blogger support DID reply to my report and they were very prompt. My problem has resolved somewhat. Thanks so much again." "Thanks Peter. A kind blogger employee restored the blog for me." Turned out that blogger employee is Blogger Support who responded to her request for help. So I hope you don't give up, but whether to stay with Blogger or to change to another platform is your call. As for me, I am sticking with Blogger. I hope I can find here help for my problems. I have a lot of Blogspot Blogs with Adult Content. Today I will post new stuff and first was that I can´t login in my Dashboard, I need to sign up new again for a google account because the program tells me, dont know my e-mail adress. ´Some days before all works with this password. Ok, I add new again with the same E-MAil and now I have not one Blog in my Dashboard. I check for the Url´s and they says me this url is in use. when i add the url´s from my blogs, they shows nothing, i understand nothing about this problem comes. i don´t hope that over 50 Blogs I loose and that the work from months was for nothings now. I need somebody, he can check my blog url´s and the login for that and why this problems comes, and I hope that is possible to reload the blogs or fix that problem and that i can use the same blog url´s when i must start new again. Please write me a Answer Message to my matze10961@web.de , when somebody have a mail to a support partner what i can speak personality please write me to that i can write there too. I empathise with you on your problem. This post use to be the most effective way to contact Blogger Support, and I have to keep on updating. Recently I have some problems with comment moderation via email, and needed to contact them. I used the way described in this post but what used to work before don't work now. There are ways for us to contact Blogger for really crucial and urgent matters but which I do not abuse and which I cannot reveal for privacy reasons. I am afraid now I can't think of ways to help except post your problem to Google Blogger Help group and hope Blogger Employee Helper (Blogger Employee is on vacation now) will see your plea for help. Oh Gosh! I tried to find a place to report a problem, but I couldn't find it. I hope you guys can help me. Yesterday, I was under a lot of stress and accidentally I deleted my blog www.greeneyedladymusic.blogspot. com and I'd like to know if there's a chance to have it restored. I have seen Blogger Employee/Blogger support help restore accidentally deleted blog, but Blogger Employee is on vacation and Blogger support have made themselves very hard to contact. I will have to update this post. There is still Blogger Employee Helper at Google Blogger Help group, if only you can catch his attention. In the meantime, try How to recover from accidentally deleting a blog. Thank you for your useful blog. I need to delete my blog. I know the username but none of the passwords I habitually use for accounts like this work. My email address has changed. The company I was with no longer exists. I've tried all the suggestions to no avail, and even posted on the help blog without response. Yahoo has a provision for adding an alternative email address. I can;t remember if Google account (tied with Blogger account) has that provision because if I am not wrong, once I added a gmail account, I could no longer log into Blogger account. If there is no alternative email address, you have no recourse. Your only slim hope is to contact Blogger Support. I had problems, but got feedback some have managed to get through. I still have no time to test that yet. Perhaps if you try, you may be lucky and if so, I hope you give us feedback on your experience. Surely not too much to ask. In any case I heard Blogger Support may read your request, but may not reply if they do not need further information from you. I appreciate your advise on my problem. I recently have 12 blogs that I maintained (all blogger account). I update them manually, NONE on automated submission. Some I update almost everyday and the rest once a week or more (but no more than a month). Today, when I logged in to my blogger account, ALL of my blogs are no more available on the dashboard! What have I done wrong? Obviously I didn't delete them since I can see some page impressions and clicks on my adsense. I check the link and it all gave the same result: Page Not Found (Error 404). Many of my blogs have PR3 and PR4 quite recently. Oh, btw, one of my blogs featured Paris Hilton video, but all are selected ones as not to create an adult site. FYI, I can still successfully create new blog today. Can I know how many blogs of your were deleted and how long did it take for them to restore back the blogs? BTW ular is snake in my country official language. Hope that wasn't the reason you lost your blog. I did have problems with blogs before. That was long ago. Can't remember the problem, but I don't think it was losing blogs, but not being able to access them. Not sure anymore. Regarding Paris Hilton vidoe, do you have permission to put it in your blog? 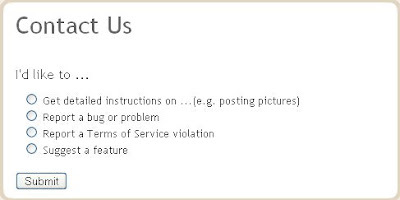 If that is copyright, and the copyright holder complained, that could be one reason you lost your blog. Anyway, back to my problem. I contacted Blogger Support. I have been officially told emailing support at blogger dot com is not the way to do it. If you have problem with the above, try How to solve problem signing into Blogger, not seeing your blogs in the Dashboard, etc. It took me 1 to 2 weeks to get my blogs back. Actually for my video blogs, (actually I have 3 including beyonce's), all the materials I got are taken from youtube (embedded script). So, I supposed they are all legal. Oh, btw, when I looked at my adsense today, surprisingly, a blog of mine that faced the same problem (error 404 - Page Not Found) has generated around 20 page impressions and also secured clicks. How can that happened when it's not able to display? Regarding AdSense, different people from different place at different time see different things. Just because you can't see the ads doesn't mean others can't. Maybe if you check your blog at other time, you will not see that 404. I'm not sure about that. You see, according to my statistics, previously, I have an average of 1500 - 2500 page views per day for that particular site. I have at least 3 sites monitoring for the statistics (not including impressions by Adsense). I wonder how some people can still see my page online. Up till now, there about 60 page views with 20 visitors to my site. Erm..I'm just confused. Help! Thanks a million..!! 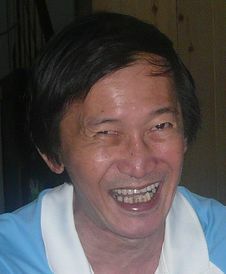 I DELETED MI BLOG MI MISTAKE. i used the email address bornwild89@hotmail.com to sign in.. I am sorry you lost your blog, but you still have hope. If you succeed in getting through to Blogger Support, or if you post your problem in the Google Blogger Help group and catch the attention of Blogger Employee, they can help you restore your deleted blog. In the meantime, try to help yourself - What to do when you accidentally delete you blog. I can log in and open my blog but that is all. Cannot even get the help to open. Tried to get the report form you give on this page but that too is locked. In fact everything to do with getting onto anything to do with Blogger seems to be locked. Don't know what else to do. I have even set up a blog with wordpress as a last resort. I have gone through and done everything on 2 different computers. The green line at the bottom of the page fills to about 80% then freezes. Now it does it even for the help. Is there no way I can contact blogger or should I give up? Hang on. I will see if any help might be forthcoming. * Check the file name for capitalization or other typing errors. * Check to see if the file was moved, renamed or deleted. I have almost two years worth of stuff on my blog.Please help me out. I am currently running a "political blog" and I ahd a few "teammates" that helped me run one prior. Someone...and they won't fess up, deleted it!!! Can I recover it? I'd like to get it back, but don't know how. i've had my blog for a couple yrs with no problem on uodates...now none of my updates show on dashboard or google reader. so no one knows i've updated. what can i do? I've been blogging for a year and two months ago, my posts stopped showing up on my and all my followers dashboards. I have searched everywhere on the Blogger Help and Support page, I've posted a problem and complained about it in a survey type thing. days and weeks have gone by and I still haven't gotten any help! I tried one of my other public blogs and there is nothing at all wrong with it.